In "Java Stack Trace" it says something about the sync, which I've enabled. And I guess it makes sense because it feels like it crashes out of the blue, unrelated to any particular page or action I do. I've disabled it for now but following the crash report, there's no bug report for that so I'm not sure. I guess if more people would have this problem, there already would be one? markus__ wrote: I've disabled it for now but following the crash report, there's no bug report for that so I'm not sure. I guess if more people would have this problem, there already would be one? 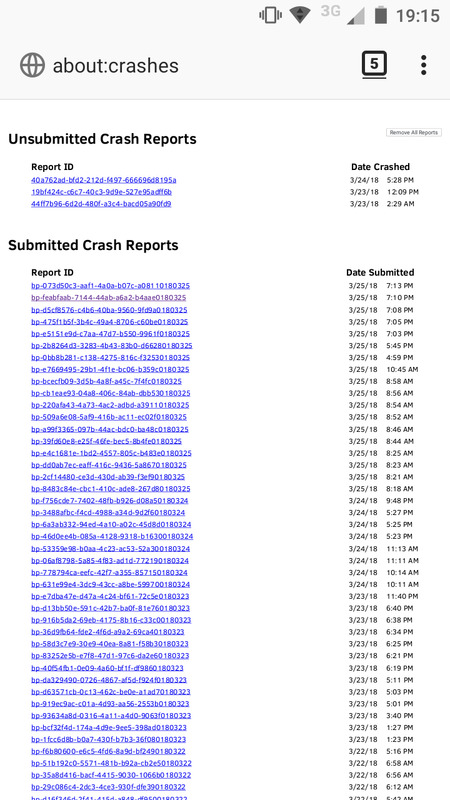 The Bugzilla tab on your crash report leads me to this one. No idea how I missed this, thanks! Temporarily disabled sync, didn't crash since.